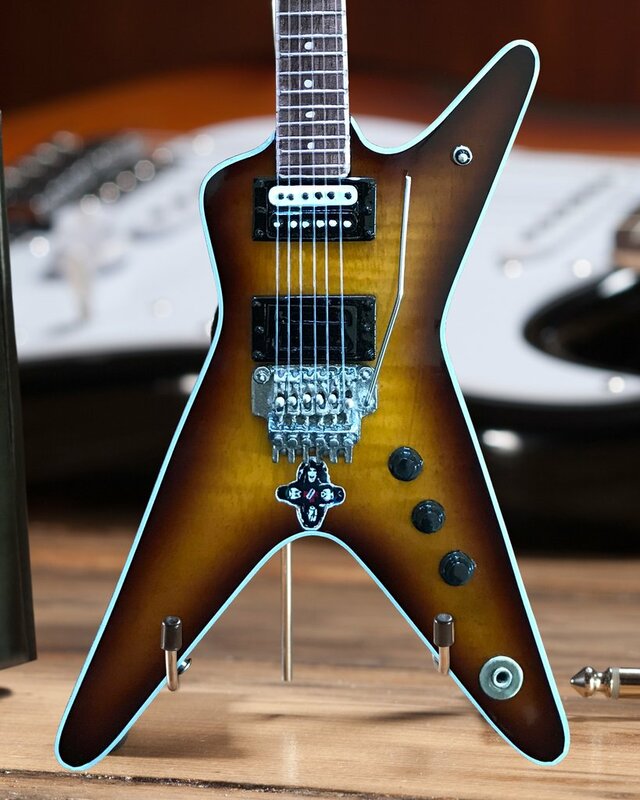 The one and only… DIMEBAG DARRELL… Get your mini wings! Blessed by Dime’s Family & Dean! 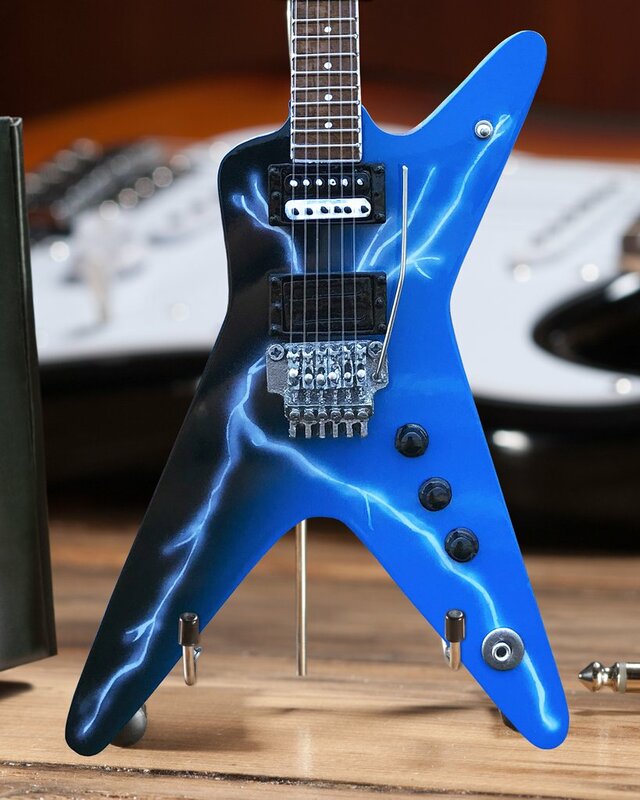 We are honored to introduce the Licensed Dean Dimebag FROM HELL Lightning Bolt Mini Guitar Model. 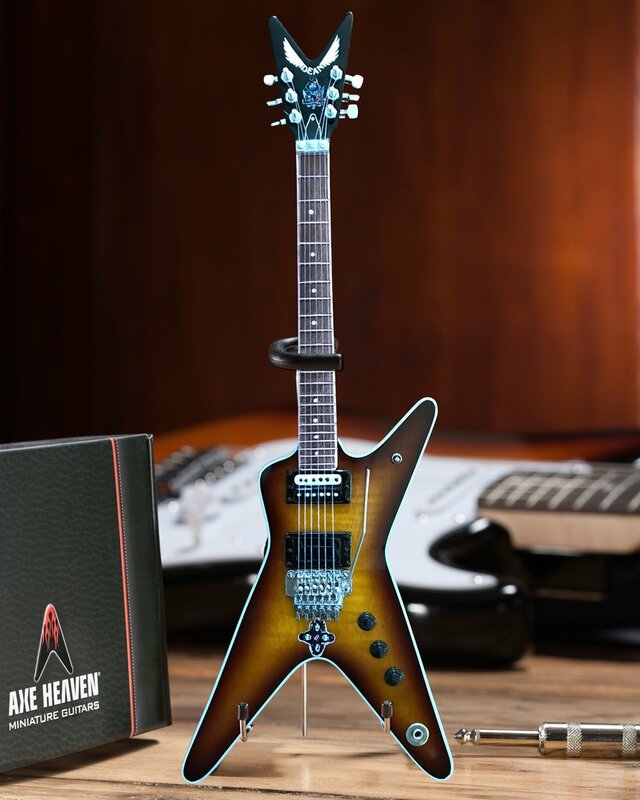 We are doubly-honored to also present the Licensed Dean Dimebag FBD Tribute ML Mini Guitar Model – Far Beyond Driven. 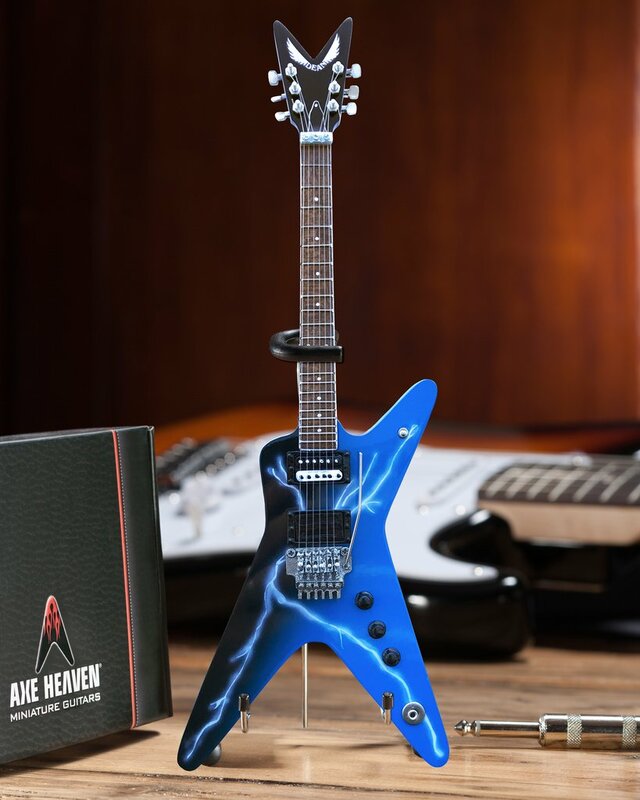 These collectible miniature replica captures all design details with vibrant hand-painted and airbrushed graphics, including the Dime Official Logo on the back of the headstock. They are approved by the Dimebag Estate & Dean Guitars, so you know they dutifully represent Darrell’s legacy. Licensed Mini Guitars Connect Fans and Bands! Are you a rockstar with a great guitar? Can your loyal fans collect handcrafted mini replicas of your guitar? If they can’t, your missing a great merchandising opportunity that will help you deeply and passionately connect with your fans. Our Product Licensing program has helped dozens of musicians make that connection, from local and regional artists to many of the biggest names in the music industry.